Whether its a large double glazed unit in the office or a small double glazed unit in the back door, Aaran Glass offer a replacement double glazing service however big or small the job is. We pride ourselves on being able to offer a high quality service at affordable prices. 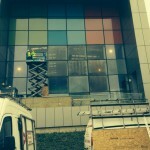 High and low level glazing catered for, in and out of working hours arranged. If condensation has appeared in between double glazing this is usually because the unit has broken down. As a result a replacement double glazed unit is needed. A quick turnaround is offered on all of our double glazed units. 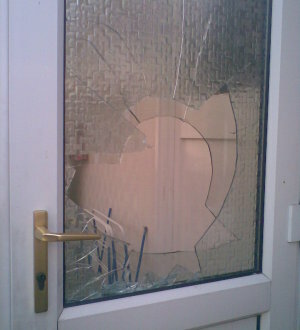 If one side of your double glazing is damaged, a replacement double glazed unit is required. 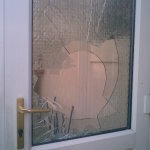 Whether it is a stone that has flicked up at your patio whilst cutting the grass, vandalism to your property or accidental damage, we are able to offer a replacement double glazing service for the residential and commercial sector. We offer a variety of glass in a range of different thicknesses. 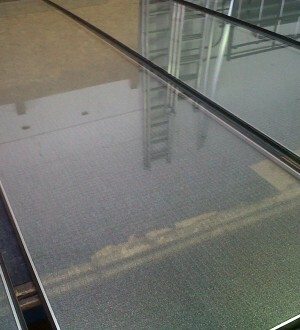 This includes; toughened glass, laminated glass, solar controlled glass, patterned glass, fire rated glass, and much more. We also supply and fit new uPVC windows as well as replacing existing. The Process – How does it work? Free Estimates. If you are able to provide approximate measurements fo your replacement double glazing we can then give you an idea of cost over the phone (you can do this by measuring the width and height of the glass surface area). If you do not have measurements we can arrange for one of our experienced glaziers to attend your property to measure up. 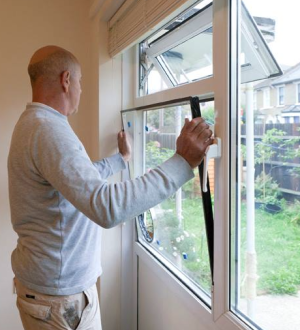 If you are happy to proceed with your estimate a site visit will then be arranged by one of our friendly advisors for a glazier to come to take precise measurements. A boarding service can be arranged should you feel your property is unsafe whilst the new double glazing is being manufactured. Your double glazed unit is then cut and manufactured in house at our factory. On average double glazed units take around 3-4 working days. Emergency same day double glazing can be arranged, please call us to find out more. An appointment is then arranged for a glazier return to remove your old double glazing and fit the new unit in its place. With a wealth of experience, we are on hand for all of you glazing needs, most of all providing you with a fast and efficient service. 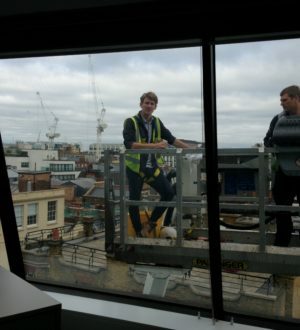 We have experienced glaziers located in: London, Greater London, Essex, Hertfordshire, Surrey, Kent and surrounding areas.